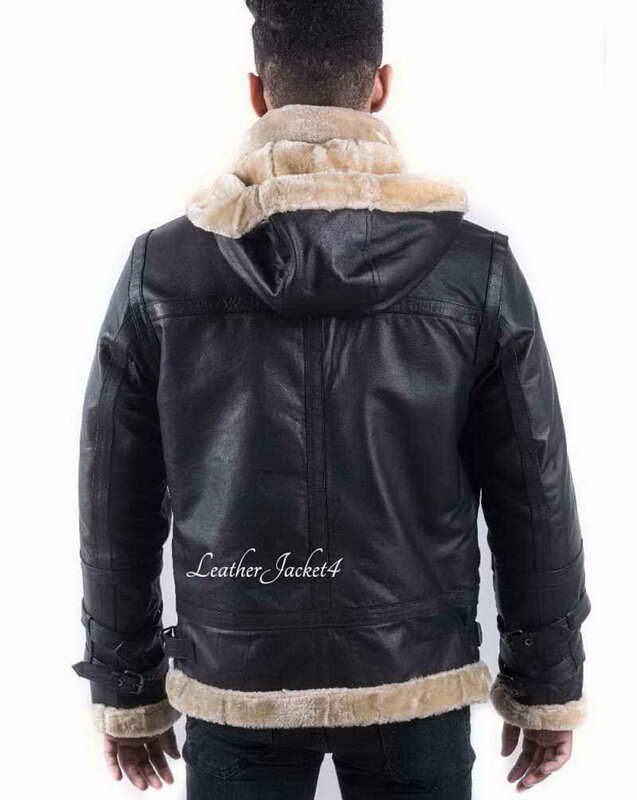 It is a jacket for all avid Celebrity style getters. 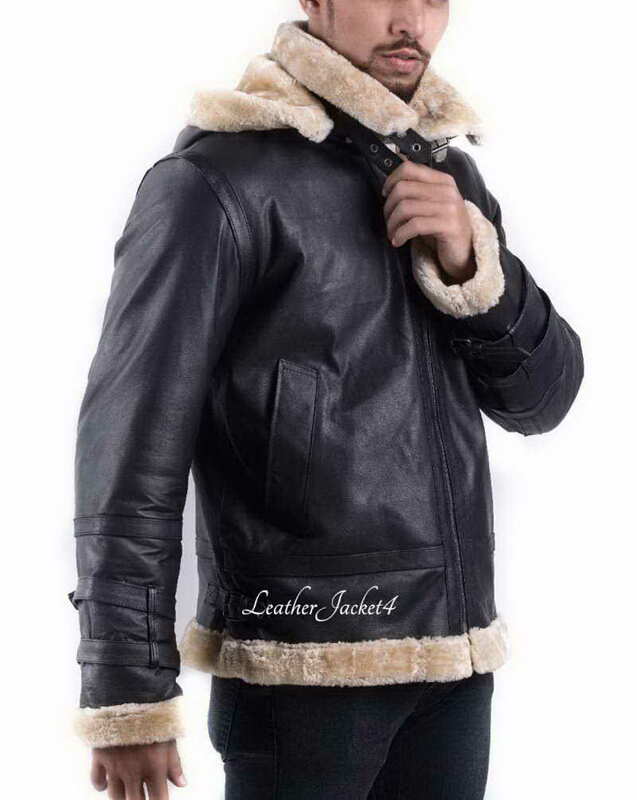 Feel like a Hollywood personality by wearing warmest and elegant B3 bomber leather jacket with the addition of bulky shearling inside to help you pass the whole breezy weather of winter with cozy warmness. 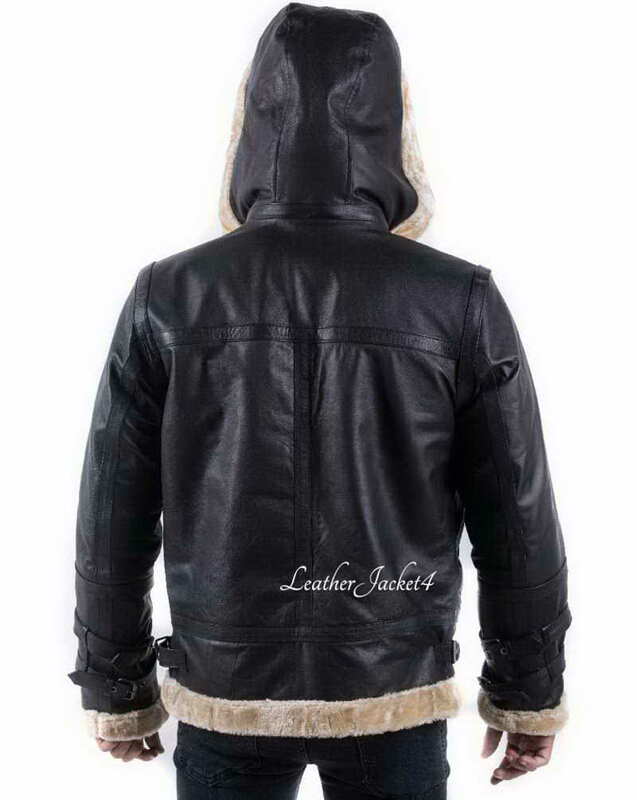 For the extra ear warmth, there is a hood to wrap your head in the massive shearling mesh. 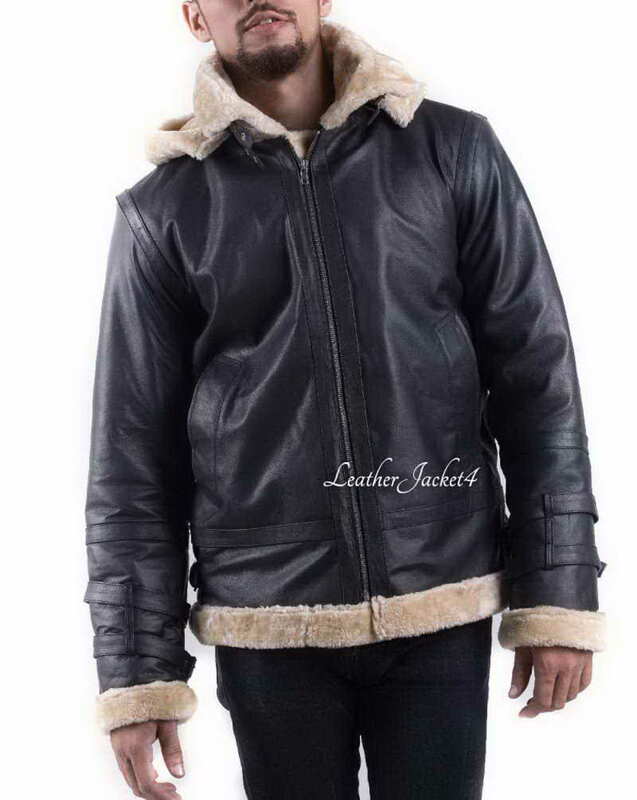 B3 Bomber jacket is a laidback attire, casually worn by military people to accommodate harsh weather conditions but now it has become fashion jacket for soulful adventurers. 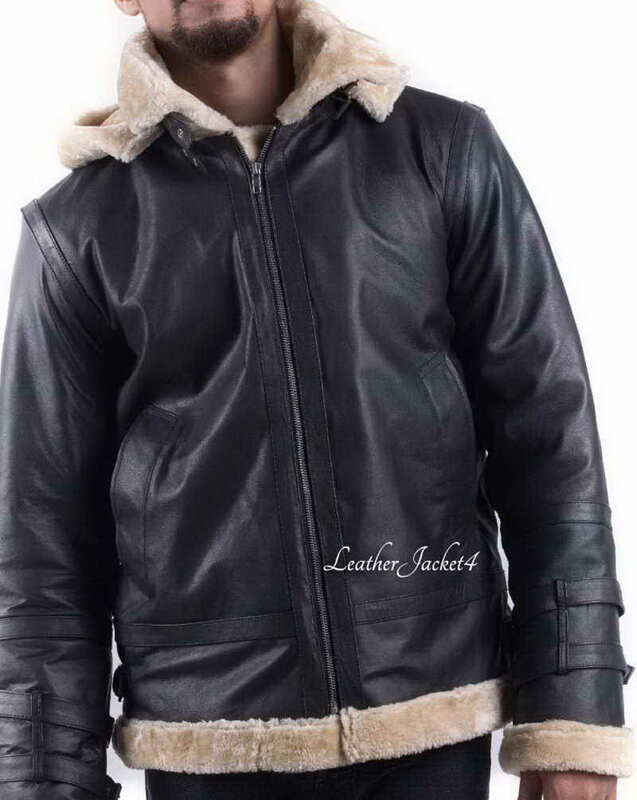 Many celebrities have shown up wearing this bomber jacket on their casual public encounters. 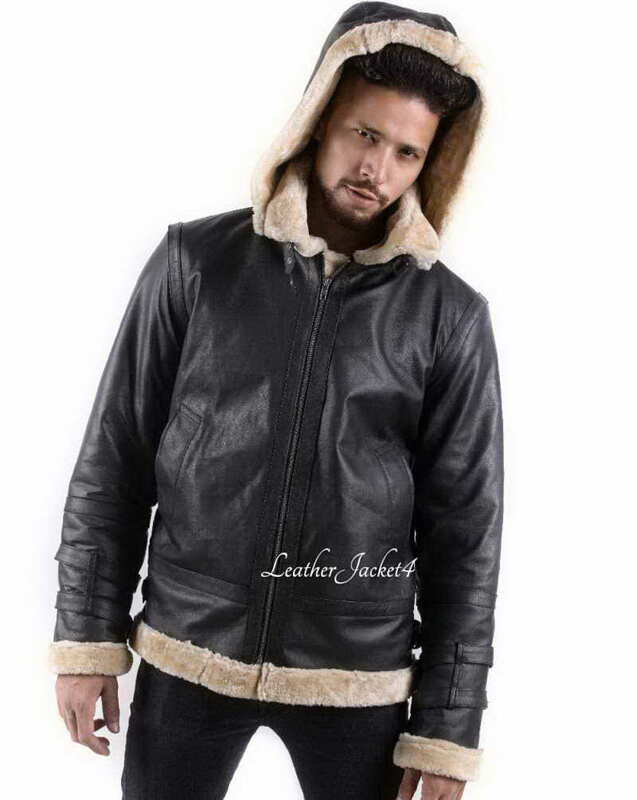 B3 Bomber jacket has shearling lapel collars and full-length fur lining under sleeves and on edges of cuffs. The heavy-duty YKK zipper creates the machinic noise while zipping up and down. There is are two buckle fastening hood adjusters to enhance the body isolation from the cold environment. Two crossed waist pockets, as well as two inside pockets are large enough to carry your handy gadgets.